If Susan Baganz looks familiar, it’s because she was mentioned on the World Wide Blog Hop I did back in October. 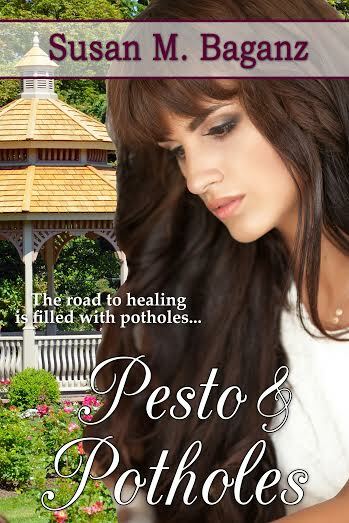 She’s been busy getting her first published novel out into the world since then, with a title I absolutely love: Pesto and Potholes. I’m a mom of three children, (also referred to as Hobbits) with a sassy parrot and a sweet dog. I’ve got a master’s degree in counselling psychology from a Trinity Evangelical Divinity School in Deerfield, IL. Been married 24 years and live in my hometown of Fond du Lac, Wisconsin. I’ve been a follower of Christ for 34 years. I worked in the Milwaukee area in the field of mental health for many years. I’ve also served on staff at churches in paid and volunteer leadership positions. Currently I serve at my church helping our worship and technical teams along with being Vice President of our local chapter of American Christian Fiction Writers in Southeast Wisconsin. I started writing fiction in October 2009 after I had a dream where I thought God was telling me to do National Novel Writing Month (www.nanowrimo.org). I figured it wasn’t illegal, immoral, wouldn’t cost me anything, and if I didn’t write 50,000 words, it was no big deal. So, I did it and fell in love with writing. I’ve always enjoyed writing and my ability to do that well is what got me through graduate school. Far more fun to write fiction though! It’s funny to get asked this question, because when I write I start with a basic concept and see what emerges. A take away might be different for different readers. Men could read it and be inspired to seek authentic accountability to help them grow in their faith. Or strive to provide more respect and honor to the women they interact with. Women could read it and find validation for their pain and encouragement to pursue deeper relationships within the context of a Christ-honoring community. Mostly I would hope that people who struggle with hurts from their past would be encouraged to persevere in their pursuit of their faith and growth in Christ. To know that emotional, spiritual and physical healing isn’t always instantaneous but the process is valuable. For pastors and church leaders, I would hope they would become more sensitive to the women in their congregations who are struggling with abusive marriages, validate their struggle, and be a source of safety and support as they navigate whatever path God has them on. The second book in the Orchard Hill series, Salsa and Speedbumps, is tentatively scheduled for December of this year. To me, The Bible is a fascinating collection of books, poetry, wisdom and letters. So, that tops the list. Other than that, the book I first read at age thirteen, The Outsiders, by S.E. Hinton is probably the book I’ve read more than any other. Something about the story resonates with me. Didn’t even watch the movie until a year ago. I still prefer the book. I can’t pick just one! Full disclosure—as an acquisitions editor and friend of many authors, I’m afraid I’ll offend someone by not putting them on the list. There are so many great stories out there. I’m finishing up The Rescuer by Dee Henderson. This is my third time reading the series and this is the last book in it. Sometimes emotionally, I just want to hang with old friends and I love that series. No ritual. When a story takes over my life, it becomes like an obsession with the characters distracting me from everything else. Sometimes I play music. Most often, I write in silence. When I’m in the zone of a first draft I can easily tune out my bird, the dog and the kids have a hard time getting my attention. I’ve been watching some television shows. Fell in love with Sherlock, Castle, Psych, Forever and now Bones. Castle and Bones have characters who are writers, which makes it fun to see that aspect explored. The writing is fabulous. I call it research even though these are genres I don’t write. The characters and their relationships are fascinating to me, even more than the plots. And I love to laugh, so a good line that catches me off guard, laughing out loud, is a wonderful thing. Other than that, reading a good book, gardening, rubber stamping or just time one on one with a friend, are all things I enjoy. What is one of the things you’re most thankful for as a writer? Writing is a lonely endeavor and as an author, my heart bleeds all over the pages I write. I’m grateful for the people who have supported and encouraged me on the way—who believed in me and my calling to write, even when I doubted. Not everyone understands the mind of an author and the emotional challenges inherent in this career, so it’s nice to know I have people I can turn to when those lows hit. And I’m grateful I can be there for them as well. Ultimately, I think it’s about impact. Yes, selling many books would be nice. But, changed lives can’t be measured. Sometimes those changes don’t come from the words written on a page but the life the author leads on the journey. My friend, Carol, now walks in a vibrant relationship with Christ because I wrote a novel in 2009 and reconnected with her through NaNoWriMo. Her name written in the Lamb’s Book of Life is more important than any publishing credit and I’m humbled that God allowed me to be part of her journey. I went into counselling because I wanted to help people. I think my writing is the same. Yes, there’s entertainment and I hope people enjoy my stories, but more than that, I hope they come away changed, encouraged, and maybe even better for the time spent with the characters God inspired me to write. It’s not success in the normal way of looking at it, and it can’t be measured, but to me, that would be success. Thank you for having me here. I pray readers will enjoy Renata and Tony’s story. 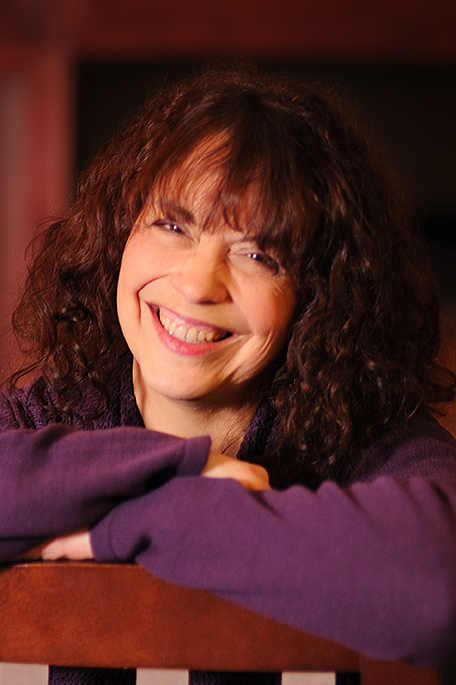 3 Comments on "Interview: Susan Baganz"
Wonderful interview! Great questions Cherie. And it was fun learning more about your writing process and more about YOU, Susan. Really, how can the book be anything but wonderful with so much heart and soul in it? Best, best wishes to you on its release! Anita! You’ll have to do an interview next. Can’t wait to read Susan’s book. Thank you, Anita, for stopping by and for your kind words! It’ll be wonderful! Fun story, fun read.